I was ready to work with Bayani Agbayani. Long Mejia will be hosting with us. Minutes before show time, I was bugged with questions. How would it be like to host an event with male comedians? How would it be like to share the stage with two hosts who are known for lopsided humor? 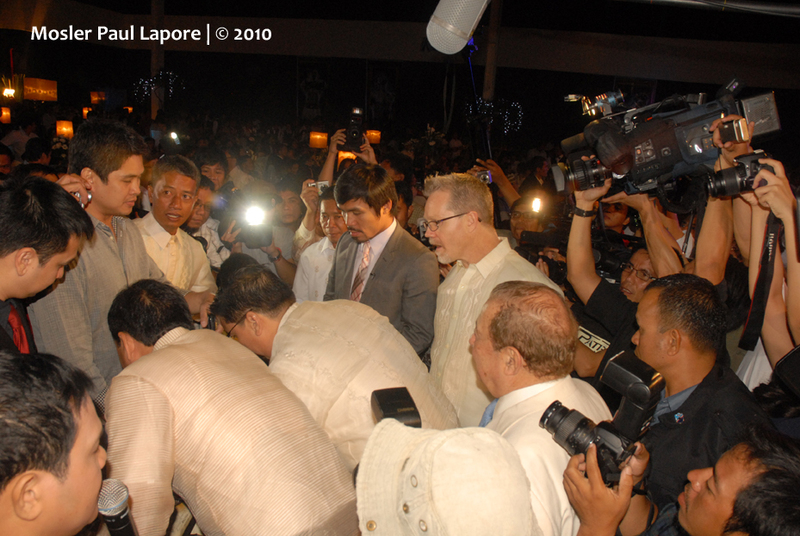 including the Pacman, the birthday celebrator and Joey C., the floor director, in prayer. We sought God's help to guide us through the celebration. and provides rooms for growth. Indeed, His ways are higher than our ways and His thoughts are higher than our thoughts! I realized how liberating it is to just be who I am - safe and secure in my true identity in the Lord. That way, there's no room for intimidation. Such freedom to celebrate life! 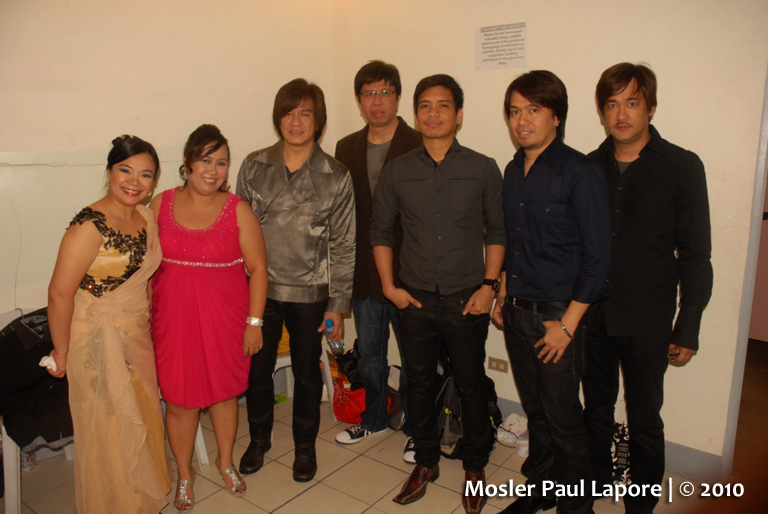 was among the first set of performers who came early to the back stage. Laarni has a way of winning people with her genuine character. With sheer humility and kindness, she connected with us. 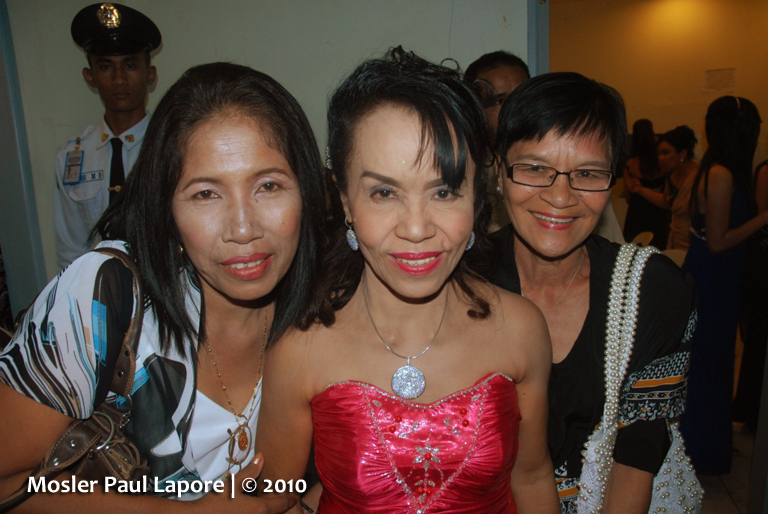 She is from Sultan Kudarat and she speaks Ilonggo. She sang “Our Father” with intensity. 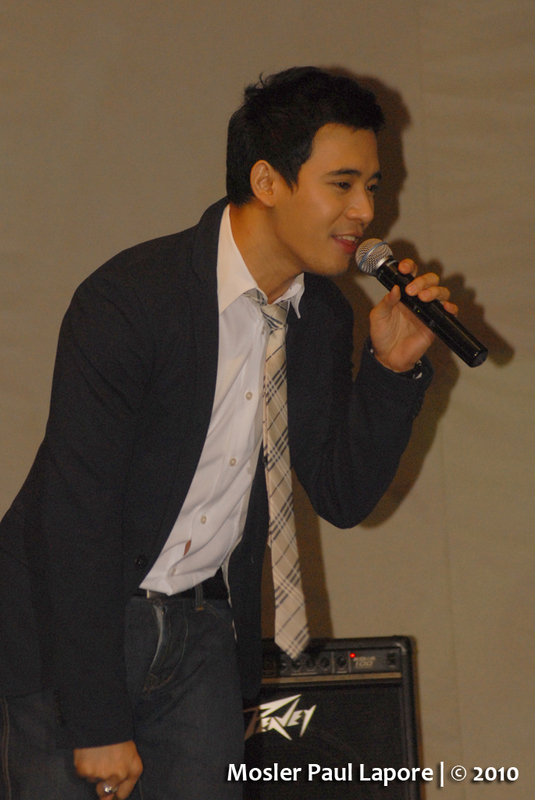 Eric Santos, the Grand Champion of 2003 Star in a Million, rendered several songs. He wowed the crowd with his signature song: This is the Moment. 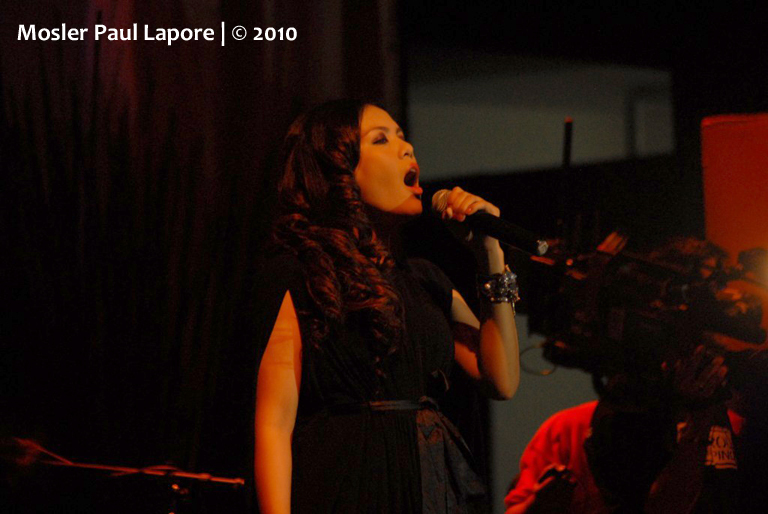 Side A Band sang Foolish Heart, Africa, Got to Believe in Magic and OPM Medley. They capped their performance with Forevermore. 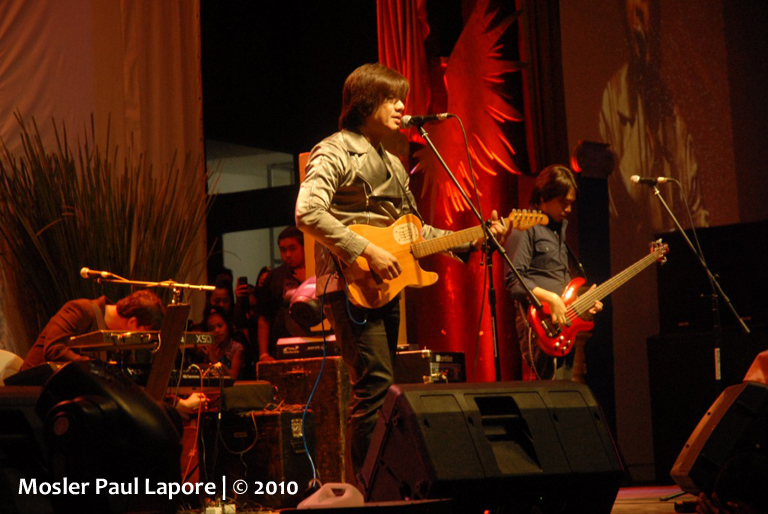 Wala pa ring kakupas-kupas ang Side A Band! Side A Band will always be a favorite! 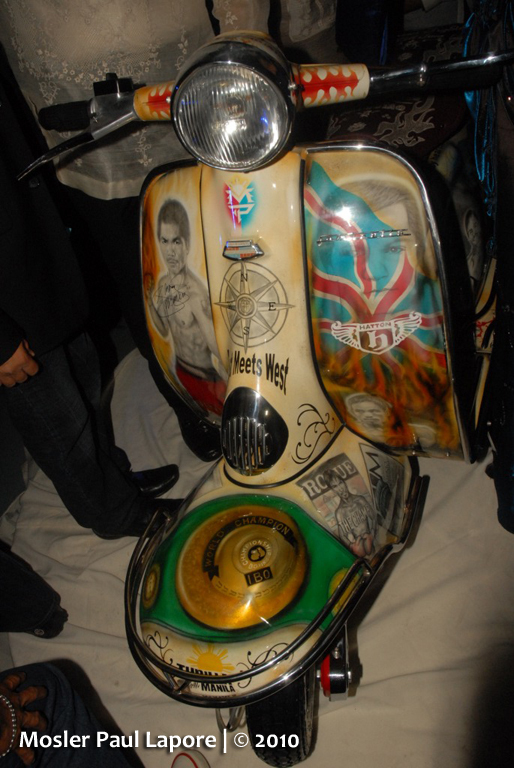 One of the highlights of the evening was the Vintage Motorcycle Showcase. which is a hard to find collector’s item. 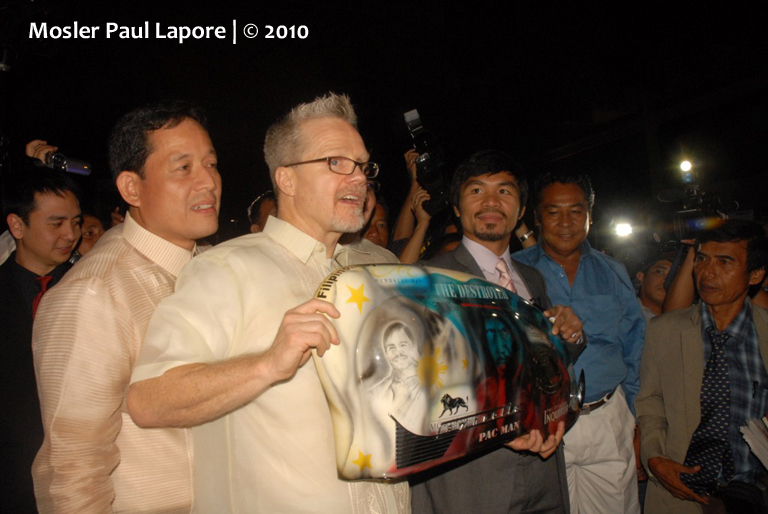 to make it a canvass depicting the boxing history and life of Manny Pacquiao. 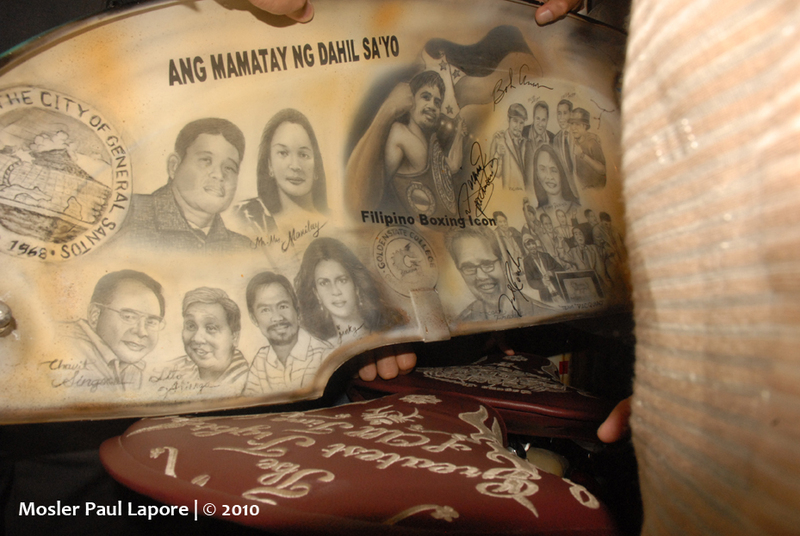 The charcoal sketches of Mr. Elmer Reyes, the artist, were top coated. The charcoal sketches, which took about a year to complete, were top coated. A lot of things happened at the back stage during dinner and in between performances. 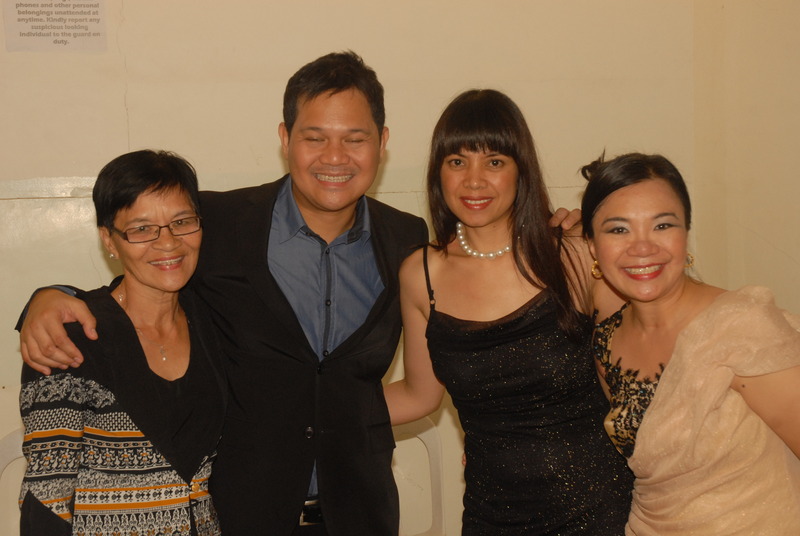 We took the opportunity to mingle with the guests and ask them about their stay in Gensan. currently from New York/ New Jersey area. He is the son of Consul General of Syria Issam El Debs. 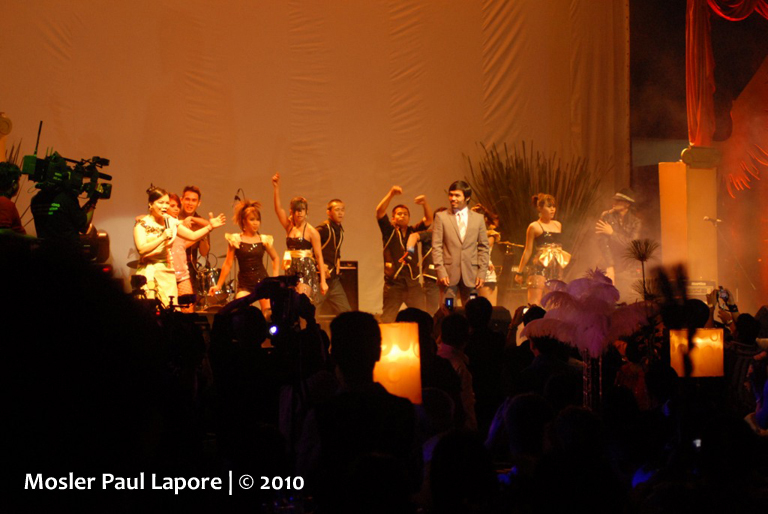 He performed an original composition for Pacman during the party. 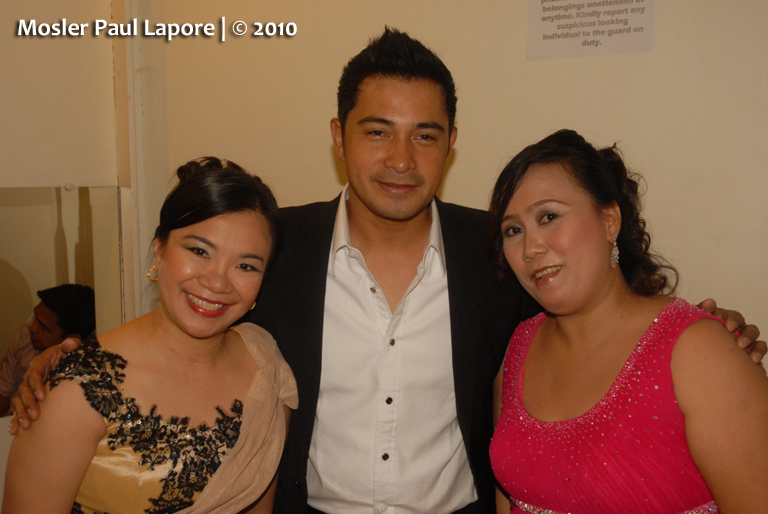 Cesar Montano came to the party with his lovely wife Sunshine Cruz. 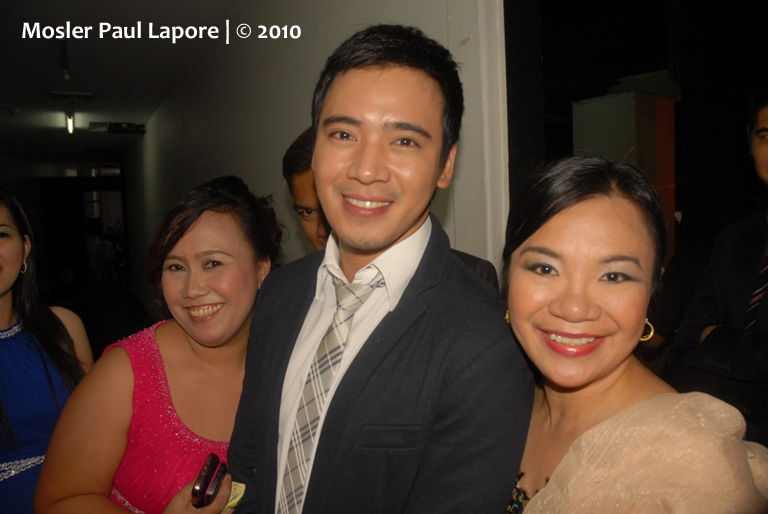 Lee Ann and I were delighted to see him back stage! without necessarily affirming their colored jokes. One lesson I learned that night: by God’s grace, anybody can stand the test of character. more surprises were given to the guests through the raffle draw. 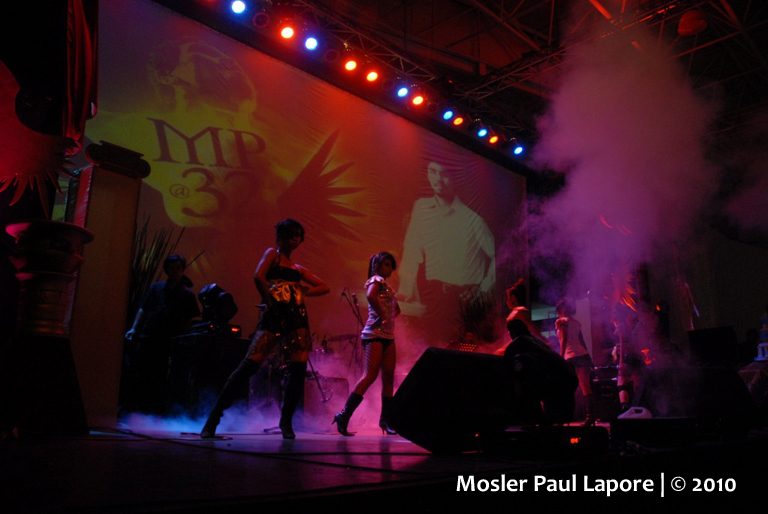 the Kapuso Network raffled off P50,000 cash as a start up capital for the chosen guest. he gave away the two major prizes. 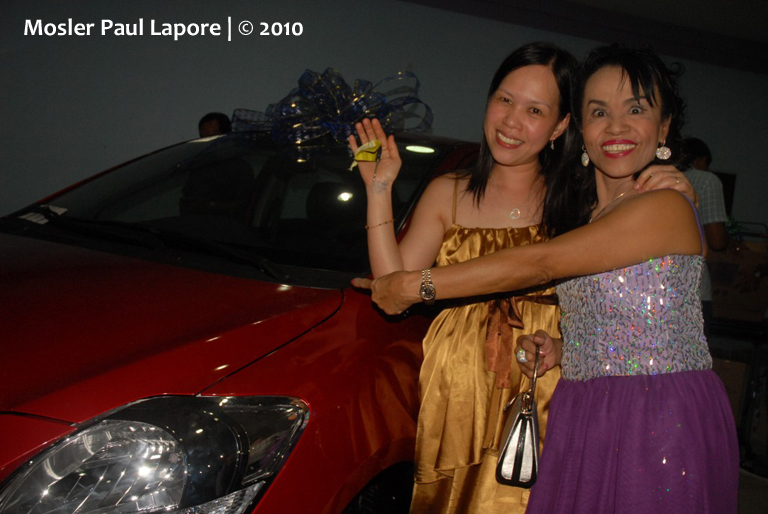 Carolyn Namoc of Polomolok, South Cotabato won the Toyota Vios. 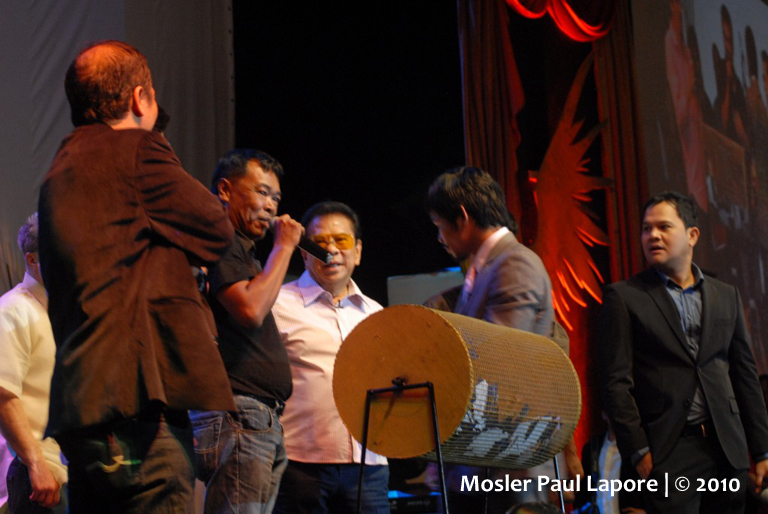 To highlight his gratitude to his guests, he gave away One Million Pesos through a raffle draw. 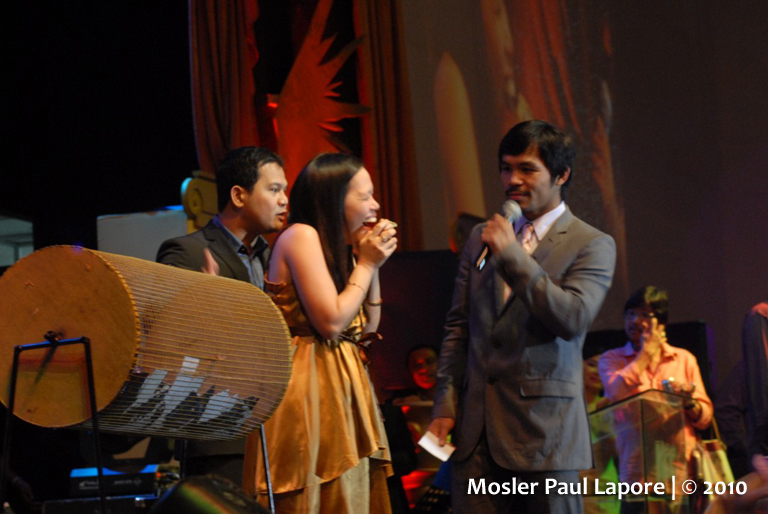 The guests suggested to Pacman that the cash prize be divided into two. But Pacman was determined to make someone a millionaire that evening. 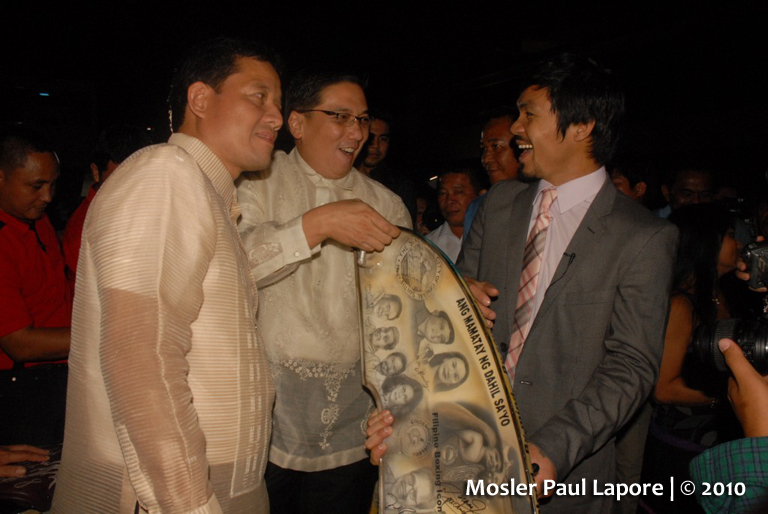 courtesy of the Pacman and Gov. Chavit Singson. The new millionaire must be very happy and I rejoice with him! And what happened to the surprise song number of Mommy Dionisia? She confided that her CD got lost and no instant replacement could be made. with her dazzling diamonds and outfits plus radiant smile. for giving him a mother like Mommy Dionisia. 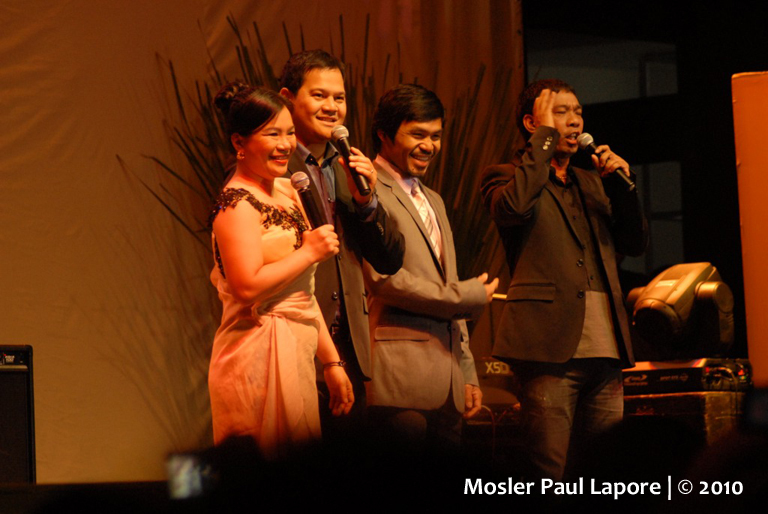 How the Pacman honors his mother is a reminder for us to honor our mothers all the more. 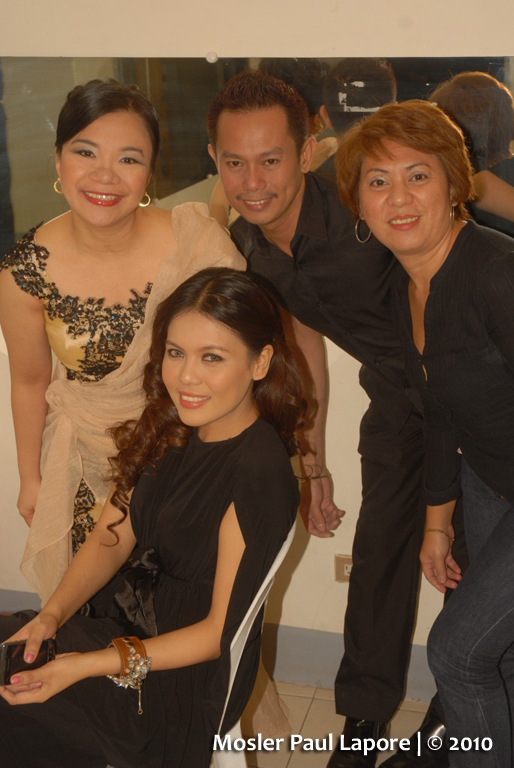 With my Mama Nanie after the show. Thanks, Long Mejia, for the fun experience! The party ended way past midnight but the memories will last a lifetime. The World’s Greatest Boxer has inspired me to dream big dreams. His life is a proof that ordinary people can be great by God’s grace. and I realized the need to trim down. I also have to get a singing coach so I can be more prepared to sing in public. 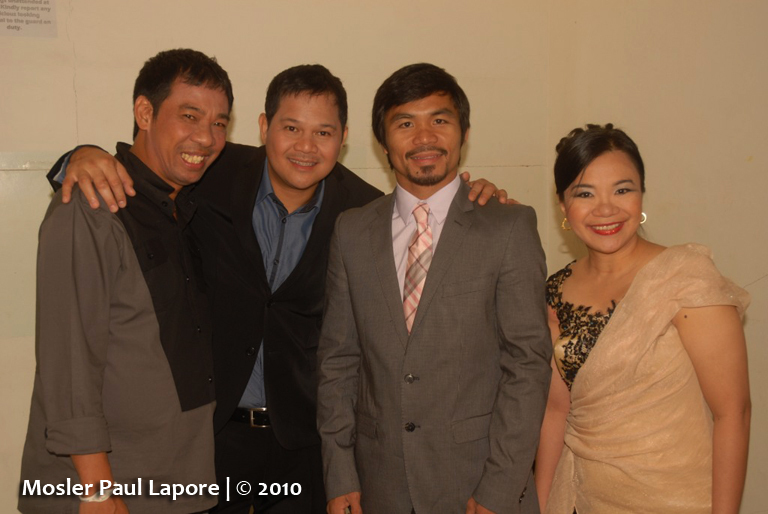 This entry was posted in Birthday, Celebration, Hosting, Manny Pacquiao and tagged Bayani Agbayani, Congressman Manny Pacquiao, Dr. Warren Manilay, Eric Santos, Garvy Terrado, Jinkee Pacquiao, Laarni Lozada, Lee Ann Omega, Long Mejia, Mommy Dionisia, Paulo Sunglao, Sami Eldebs, Side A Band. what’s good with manny is that he never fails to thank God…and i salute him for that..congratz maám jo! watching you last Friday evening made me prouder being a general! congrats for a job well done, General Joana! 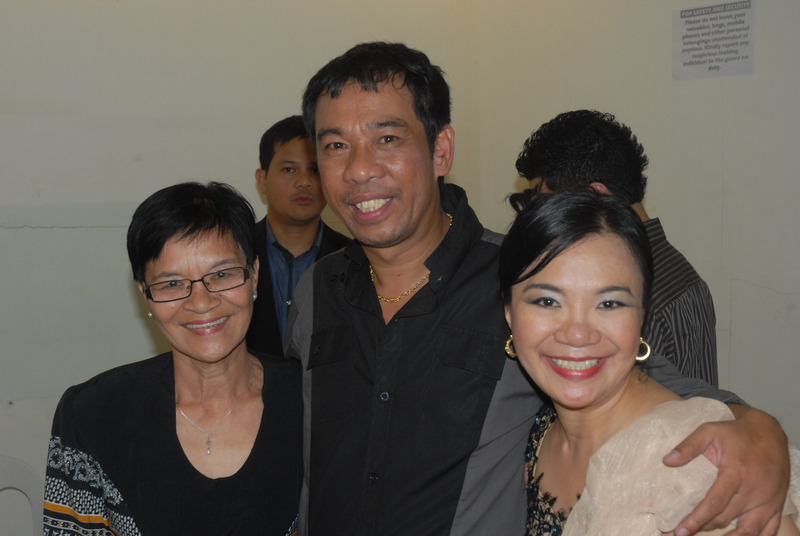 Proud to be your friend too Miss Joana! 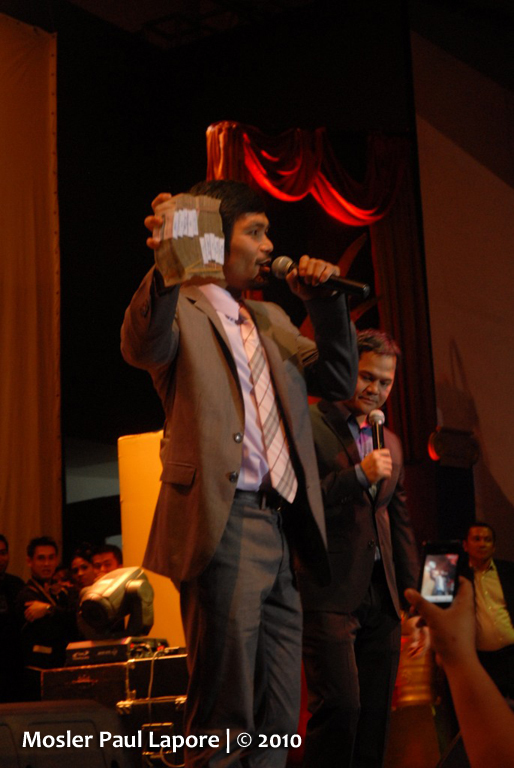 You’re definitely the best emcee/host/master of ceremonies that GenSan has ever produced! And to add to that — soon to be one of 2011’s Most Influential Bloggers!